A new route between Gatwick and Barcelona will be introduced by low cost carrier Monarch Airlines from October. Daily flights to the Spanish city will start on October 21, with the airline planning to scale up services to 11 per week from October 31. In addition to drawing business travellers, people taking short city breaks and beach goers, Barcelona is a "fantastic gateway to the ski slopes of the Pyrenees" during the winter season, said the airline's managing director Kevin George. Travel insurance holders going to the Spanish city on holidays or leisure trips will "appreciate the convenience and flexibility" of the new service, he said. 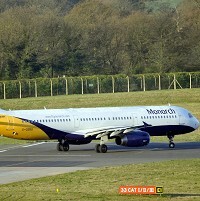 With the addition of Barcelona the number of destinations served by Monarch from Gatwick will increase to 13. The airline operates flights to other popular holiday hotspots including Menorca, Cyprus and the Algarve.